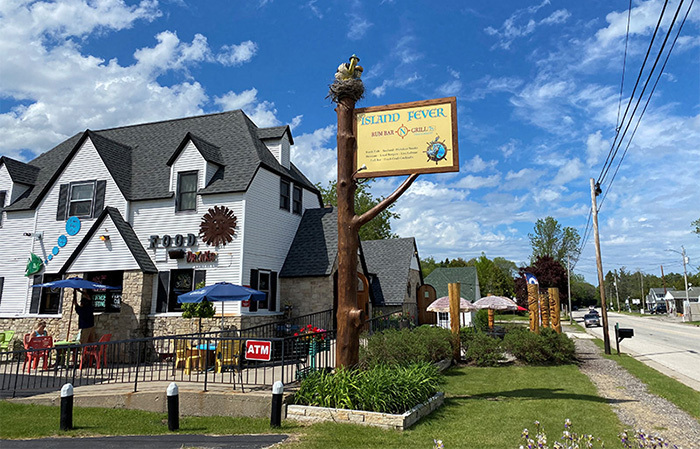 Island Fever is a rum bar and grill serving a festive mix of seafood, hand cut steaks, American and Mexican cuisine served with an island flair.Come in and enjoy a taste of the Island way of life. At Island Fever we strive to give our patrons an experience full of memories, great food, and friendly service. We present an atmosphere that invokes a causal dining experience that brings out the inner beach bum in all of us. Nov-Apr, Th 4-8:30, F-Sa 11-9, Su 11-8.